A low-glycemic diet helps regulate insulin and blood glucose levels that become unstable due to either a health condition or consumption of an excess amount of carbohydrate calories. Anytime you eat foods containing carbohydrates, your body naturally breaks those carbs down into blood glucose (blood sugar), releasing insulin in the process. 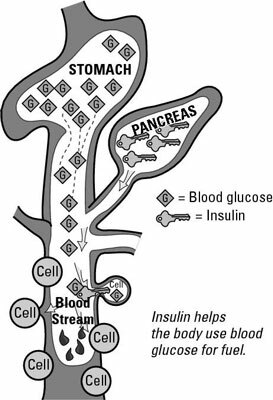 Insulin acts like a key that unlocks your cells’ doors to allow blood glucose to enter in and provide your cells with energy. Even though insulin transports blood glucose to your cells, your body doesn’t turn all of that blood glucose into energy at once. When blood glucose levels rise above normal, insulin signals your liver, muscles, and other cells to store the extra. Some of this excess blood glucose gets stored in your muscles and liver as glycogen, and some of it gets converted to body fat. Regardless of whether blood glucose is being spent or stored, the influx of blood glucose in your blood can create spikes and crashes depending on what you eat. This process leads to food cravings, moodiness, and fatigue — all of which can make weight loss difficult to accomplish. Low-glycemic foods play an important role in keeping blood glucose levels down. Your body coverts these foods into blood glucose more slowly and over a longer period of time. That means your body needs less insulin to get the energy into your cells, so your pancreas is spared from being overworked. It also means there’s less excess insulin just hanging around as fat storage. High-glycemic foods, on the other hand, get converted to blood glucose very quickly, causing a rush of blood glucose into the body in large amounts. The result? You feel satisfied and revived for about 30 minutes following a high-glycemic snack, but after those 30 minutes are up, you start to feel fatigued and hungry all over again. Eating more low-glycemic foods helps reduce fatigue and hunger and prevent chronic high blood sugars. What’s wrong with chronically elevated blood sugars? Over time, too much sugar in the blood for too long can damage the blood vessels and nerves, leading to kidney disease, blindness, nerve damage, heart disease, and foot problems.